Presidents and other leaders at the 28 U.S. Jesuit institutions of higher education. Though the website was developed for use in a process created for Jesuit colleges and universities, it is shared here, in a public fashion, in hopes that other institutions may find some of the approaches useful. A PDF version of the site is available for printing. It is updated periodically, but the online materials remain the most current. One of the hallmarks of Jesuit colleges and universities is a holy restlessness that fuels the search for knowledge, meaning, and the reality of God. 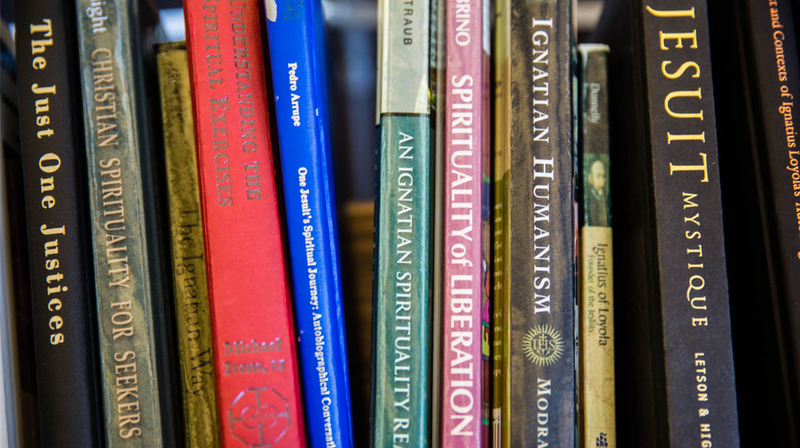 That restlessness, paired with the world-affirming spirituality of St. Ignatius Loyola, drives Jesuit schools toward big questions about their purpose, relationships, and responsibility in the world. Reflecting deeply and regularly on the mission can be challenging, amid the pace and pressures of higher education. Thus the Mission Priority Examen provides space and structure for each Jesuit college and university to undertake serious discussions about how they understand their school’s authentic mission, establish goals for the future, and set forth new or renewed means of realizing those goals in the years to come. What, specifically, makes a college or university Jesuit and/or Ignatian? What does Jesuit sponsorship of a college or university mean today? How will the 28 Jesuit schools in the U.S. live their Jesuit and Catholic mission – as colleges and universities– in even more authentic ways, going forward? 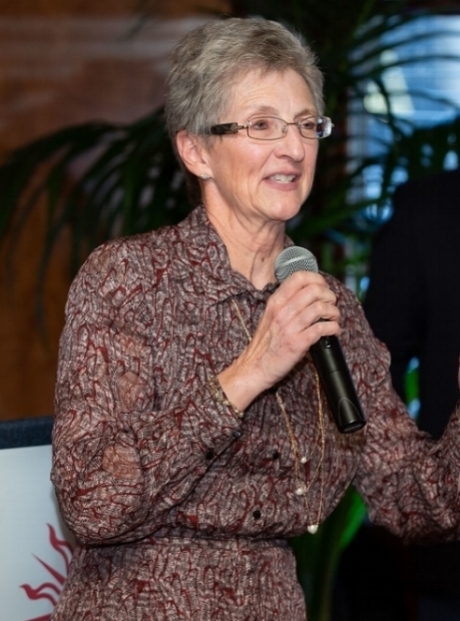 In response, a five-year, experimental process was developed to (a) affirm the mission integration already evident and growing in Jesuit schools, (b) set clear mission goals for the next few years, (c) stimulate intra- and inter-campus discussions on deepening the Jesuit, Catholic mission, and (d) foster healthy and collaborative relationships between the universities and the Society of Jesus. The experimental phase of the MPE was initiated in 2016, and the process has been updated annually, based on feedback from the schools, Provincials, AJCU, and Jesuit Curia. A more thorough assessment of the process will take place when the experimental period concludes in 2020, providing important information on trends across the AJCU network. The MPE is designed as a collaborative undertaking, rooted in the Ignatian tradition. While elements of it are reminiscent of academic accreditation, the underlying spirit is quite different. Specifically, the brief Self-study written by each school is preceded by an all-campus reflection and extended discussions about the mission. The team of peers visiting the campus consists of trusted AJCU colleagues, nominated jointly by the President of the school and the Provincial Assistant for Higher Education, rather than a group simply imposed upon the school. The two to four Jesuit Mission Priorities each school sets lend urgency and focus to the school's major mission goals and strategies. Finally, the affirmation of the school's Jesuit and Catholic identity by the Jesuit Superior General underscores the idea that Jesuit higher education is a shared project. For a more complete understanding of how the Mission Priority Examen differs from an accreditation process, see Why Call It an Examen? In the MPE process, the campus Self-study Committee is tasked with asking (a) which Jesuit, Catholic mission priorities the institution has emphasized in recent years, and (b) which priorities are now called for, in light of reflection and the input of peers. Reflecting on these questions is predicated on the deep sense of gratitude that frames any Ignatian Examen. In the context of Ignatian spirituality, choices ought not be made from a sense of obligation or duty. Rather, they are responses of love, resulting from having been loved first by God. Rooted in this gratitude, the Self-study Committee prayerfully and honestly searches for the Magis (i.e., the deeper and more universal good). The target of the MPE is for the school to select two to four Jesuit Mission Priorities, on which to concentrate, with the understanding that many lesser objectives may cluster under a single priority. Some schools will undergo their Self-studies with an eye to the next formal academic accreditation visit, and will feel a need to provide extensive documentation on the implementation of their current mission priorities. For the purposes of the MPE, however, such granular documentation is not particularly helpful. Rather than justifying prior choices, the college or university community is encouraged to consider its desires for the future, with respect to Jesuit and Catholic mission and identity, and how those desires might best be realized for the common good. The original five-year process is now at a midpoint, and nearly half of the AJCU schools have completed the MPE. There is a great deal of experience to be shared by those who have led Self-study Committees and Peer Visitor Teams on each campus. The Year-by-Year List of Schools Participating in the Mission Priority Examen also includes the names and contact information for past Self-study and Peer Visitor Team Chairs. They are happy to share their wisdom and lessons learned with others. Originally written by the Jesuit Curia in Rome, the Mechanism was later annotated by the U.S. National Coordinating Committee, to clarify the practical means by which the process would be implemented. Those supplemental guidelines are found alongside the Mechanism text. The second essential text for the MPE process is titled Some Characteristics of Jesuit Colleges and Universities: A Self-evaluation Instrument. This booklet was issued by the AJCU Presidents in 2010, in conversation with the North American Jesuit Conference, to help individual schools assess progress on their institutional mission. It has now been put to use in the MPE process to help the entire AJCU network of schools reflect and act on common themes. All MPE Self-studies must address the seven topics outlined in Some Characteristics, though a school may add characteristics that are important for its mission and identity. The characteristics of Diversity and Inclusion and Environmental Sustainability have been added by a number of schools, and increasing attention is being paid to a characteristic that might be called Collaboration within the the Jesuit Higher Education Network. Based on this and other feedback, Some Characteristics will undergo a revision at the end of the initial five-year cycle of the MPE. Printed copies of Some Characteristics are available from the AJCU office for a nominal fee; online copies may be downloaded from this website, and copied without charge. Do you want to continue to be a Jesuit, Catholic University? If so, what are the two to four mission goals (and accompanying strategies) that you will prioritize for the next Few years? Responding to these questions represents the "true north" of what the Mission Priority Examen seeks to accomplish. The AJCU refers to the member association of the 28 Jesuit colleges and universities in the U.S. 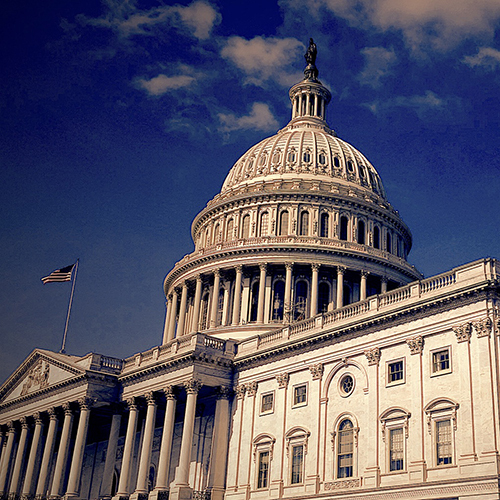 It is located in Washington, DC, and is headed by the President, Rev. Michael Sheeran, S.J. Fr. Sheeran is also the overall coordinator of the MPE process for the 28 schools. He and his staff convene biannual conference call orientations for Self-study Committee Chairs and Peer Visitor Team Chairs, and are available for questions and consultation on implementing the MPE. Chairs can easily reach Fr. Sheeran through an email account that is dedicated to the MPE process, examen@ajcunet.edu, or at the AJCU office by calling (202) 862-9893. Four Provincial Assistants for Higher Education, each of whom is responsible for the Jesuit "apostolate" (i.e., work) of higher education in a defined region of the country. Click here for a roster of current National Coordinating Committee members. The term AJCU Schools denotes the 28 schools that maintain membership in the AJCU, and whose presidents comprise its board. The Society of Jesus organizes itself into Provinces (i.e., regional areas of ministry). The map to the right depicts the provinces within North America. In the U.S., there are five provinces, each headed by a regional leader called a Provincial. The Provincial's staff includes a Provincial Assistant for Higher Education, who functions as the Provincial's liaison and representative in the MPE process, though the Provincial maintains oversight in all matters. It is important for Self-study Chairs to stay in contact with the Provincial Assistant for Higher Education throughout the MPE process. The local Provincial Assistant works cooperatively with the President or his/her delegate to nominate members of the Peer Visitor Team. 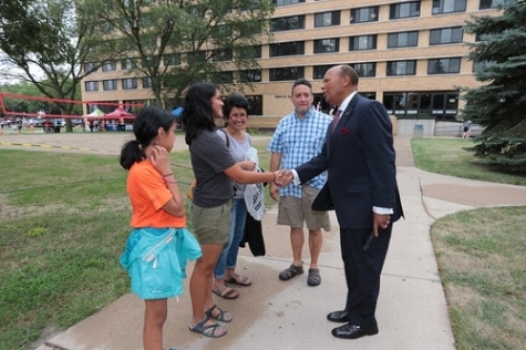 He sometimes meets with the Peer Visitor Team at the beginning of the Team's campus visit. 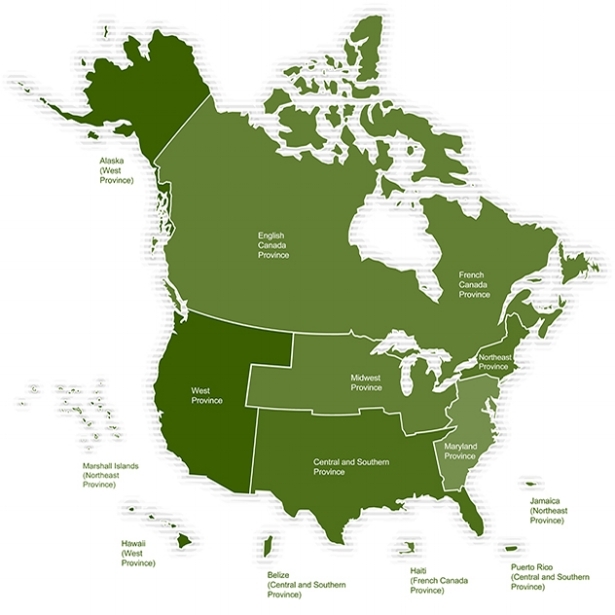 Together, the U.S. and Canadian Provincials make up the Jesuit Conference of Canada and the United States. Through a staffed office in Washington, DC, they coordinate and support all the work of the Society of Jesus in North America. The President of the Jesuit Conference, Rev. Timothy Kesicki, S.J., represents the Jesuits in the public square, advocates on priority issues, and convenes the U.S. and Canadian Provincials for common discussions and planning. Fr. General refers to the Superior General (i.e., international leader) of the Society of Jesus who is currently V. Rev. Arturo Sosa, S.J. Fr. Sosa 's review of the materials related to the school's MPE leads to his decision to affirm the school's Jesuit, Catholic identity, and any specific guidance he may wish to offer. The campus Self-study Committee coordinates the MPE process by conducting interviews, focus groups, surveys, and other activities that will inform reflection and priority-setting. Together, they write the Self-study and serve as the host group for the Peer Visitor Team. The President, as always, is the public face of the College or University. In the context of the MPE, s/he appoints the Self-study Committee, works with the Provincial Assistant to select the Peer Visitor Team, meets with the (Arch)Bishop, and leads the school's efforts to make good on the Jesuit Mission Priorities it has established. Peer Visitor Teams (also referred to as Peer Reviewers) are knowledgeable colleagues from other Jesuit colleges and universities who have volunteered their time to assist with the MPE process. The diagram below illustrates how the MPE process flows among the University, AJCU, and Society of Jesus. The Self-study Chair(s) is appointed by the President, well in advance of the MPE process. S/He is the overall leader of the MPE, and is ultimately responsible for its smooth completion and communication. Establishing a calendar for the process, including dates for the peer visit and all necessary approvals of the draft and final Self-study documents. This website, along with the two Guiding Documents listed above, are the primary resources for Self-study Chairs as they engage in their work. The MPE Self-study Committee is appointed by the President of the College or University, well in advance of launching the MPE process. The Committee's membership should reflect a wide range of voices at the institution, and all members should have familiarity with, and a commitment to, the Jesuit, Catholic mission of higher education. It is strongly recommended, though not required, that Self-study Committees include the participation of at least one Jesuit. 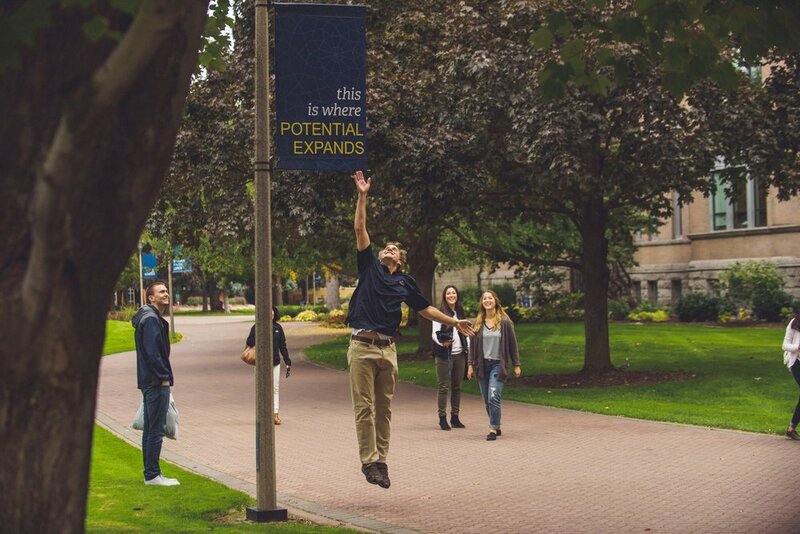 Preparing the Campus Community – With the help of university colleagues, the Committee communicates with faculty, staff, students, trustees, and alumni/ae throughout the MPE process. Some sample letters and templates for campus communication are available in the Checklists and Letters portion of this website. 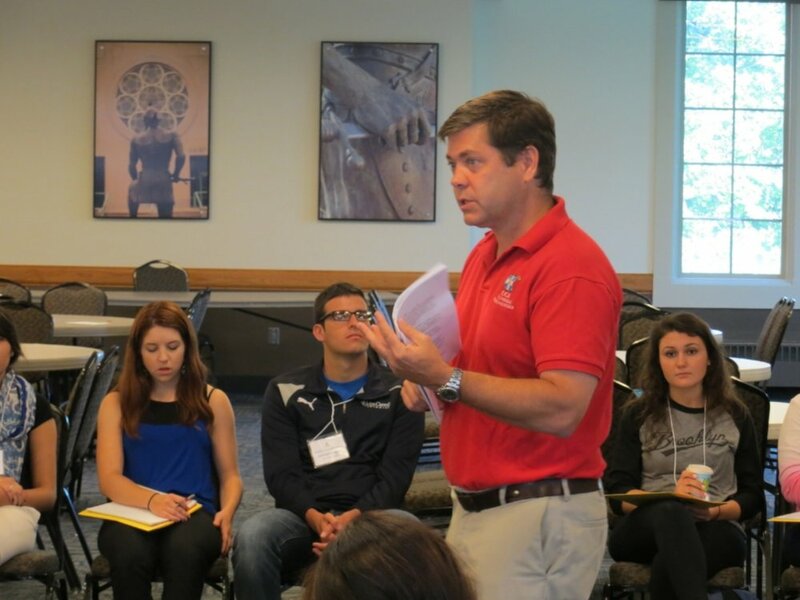 Gathering Information – The Committee devises and implements means for listening to the campus community about the experience of living the school's Jesuit, Catholic mission, and the priorities they hope to see established. These methods might include (a) focus groups, (b) open forums, (c) surveys, (d) interviews, and/or (e) meetings with key constituencies, such as the Student Government, the Jesuit community, community partners, and the Academic Senate. 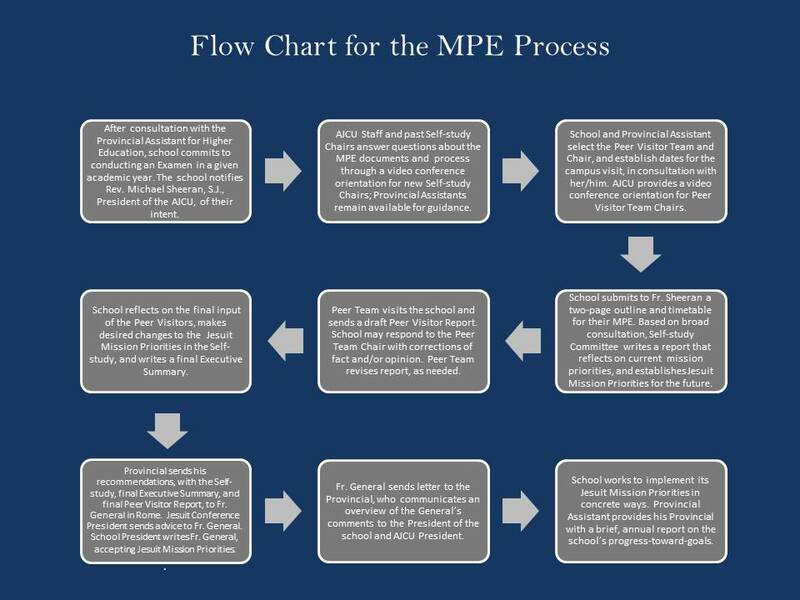 The MPE process could also be informed by data that have been collected for other purposes, such as the school's report from the National Survey of Student Engagement (NSSE). Including students in the process is essential, and something that the Jesuit Superior General, Fr. Sosa, has underscored. Further, the president should meet with the local Bishop early in the process, and share feedback from the meeting with the Self-study Committee (see the FAQs section of this website for information on meeting with the Bishop and incorporating his input). It is important that the process not be overly "managed" for a particular result. All opinions, positive and negative, are welcomed, consistent with the radical honesty of the Ignatian Examen, on which the MPE is based (see Why Call It an Examen?). Thus consultations should also include people who are not highly familiar or engaged with the school's mission. What are the institution’s current mission priorities in each of the seven areas of Some Characteristics? Are there any major constituencies (i.e., students, faculty and staff, local Church, alumni/ae, and parents) we need to address more effectively? Are there better ways to approach any of these priorities? Have new priorities arisen? Given the circumstances of the school at this time, should we reorder any of our existing priorities? Writing the Report and Executive Summary – The Committee completes both documents, using the outline and form provided, and circulates them for feedback and editing. See the Outline for Full-length Self-study and Self-Study Executive Summary Template in the Reports section below. Including the Board – The MPE involves many constituencies, not least of which is the Board of Trustees. It is essential that the Board's input be obtained early in the process, and that trustees review the Self-Study Report, by email if necessary. Feedback on the report may also be delegated to a Board committee that makes a recommendation to the plenary. Many schools share the MPE process and Self-study Report formally at a board meeting, culminating in a motion for approval. As the "Director of the Work" (a Jesuit term for the head of a Jesuit-sponsored ministry) and commissioner of the Self-study Committee, the President sends a letter to Fr. Sosa, affirming the Jesuit Mission Priorities recommended in the Self-study and indicating how the Board's commitment has been obtained. Hosting and Engaging the Peer Visitor Team – The Chairs of the Self-Study Committee and Peer Visitor Team will be in close contact to plan the visit, and the Peer Visitor Team Chair may make requests regarding particular groups the Visitors would like to see. Following the campus visit, the two Chairs will work together, while the Self-Study Team and President (a) consider the feedback of the Peer Visitor Team, (b) offer corrections to any errors of fact or judgment in the Peer Visitor report, and (c) choose whether to make adaptations to their Self-study, in light of the Peer Visitors' input. If the Self-study Committee makes changes to their Report and/or Jesuit Mission Priorities as a result of Peer Visitor input, they should note the changes in their final Self-study Executive Summary. Similarly, if the Peer Visitors make any amendments to their recommendations, based on post-visit dialogue with the Self-study Committee, those should be included in the final Peer Visitor Report. Any areas of disagreement should also be noted by each group in its respective report. Following up – The Self-study Committee may not be directly responsible for following up on the school's Jesuit Mission Priorities, but they discuss with the President how and by whom implementation of the priorities will be addressed. Peer Visitors are nominated collaboratively by the school's President and the Provincial Assistant for Higher Education, and approved by the President of the AJCU. Please review the List of Potential Peer Visitors as a first-stop resource for recommending your school's Peer Visitor Team and Chair. Schools are not limited to selecting colleagues from this list, but it is a useful starting place for generating possibilities. All Peer Visitors are asked to refrain from serving on more than one Peer Visitor Team in a single academic year, and should feel free to decline if their schedule does not permit them to serve. No one will be removed from the list as a result of declining a school's invitation. 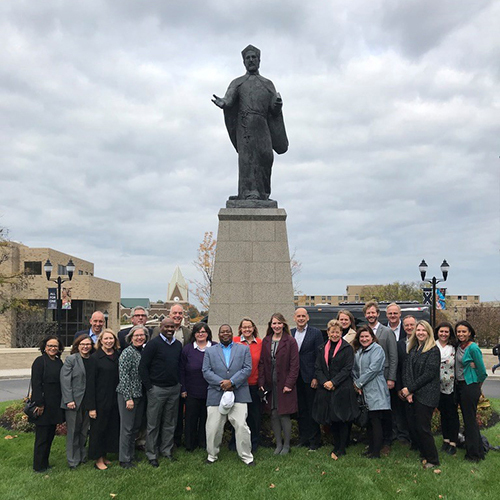 Peer Visitors should have a deep understanding of the Jesuit, Catholic mission of Jesuit higher education, and complement each other's skills and experience. If the Self-study Committee recognizes that particular areas for institutional improvement are likely to arise (e.g., developing faculty formation programs or linking the University's diversity and inclusion efforts to its mission), then including at least one Peer Visitor with expertise in that area would be wise. It is strongly recommended, but not required, that each Peer Visitor Team include at least one Jesuit. The Peer Visitor Team Chair coordinates the work of the Peer Visitors and takes responsibility for the timely completion of the Peer Visitor Report (see the Reports section below). S/He will work with the Chair of the Self-study Committee, in advance of the visit, to arrange a schedule that (a) provides a comprehensive view of the institution (dividing the Team among meetings, as needed), and (b) offers time for the Team to meet nightly and write most or all of the draft report before they depart. All MPE-related expenses of Peer Visitors (e.g., travel, meals, Wifi, etc.) are the responsibility of the host campus. Please see the FAQs section below for information on college/university financial assistance, if needed. Because Peer Visitors are valued colleagues who are volunteering their time, it is important that the campus cover their expenses directly, rather than asking them to apply for reimbursement. All Peer Visitors are encouraged to view Tips for Peer Visitor Team Chairs, to learn from the experience of colleagues. Peer Visitors are an indispensable part of the MPE process, and they are owed a debt of gratitude for their generous service. They are not compensated financially for their efforts, but nonetheless continue to bring their best to the task. Often they are among the busiest people on their campuses, precisely because their wisdom is so appreciated by others. If you would like to nominate yourself or a colleague to serve as a Peer Visitor – or if you have corrections to the list – please contact Fr. Michael Sheeran, S.J. For further insight into the role of Peer Visitors, see the Peer Visitor Team Chair’s Letter to the University Community in the Checklists and Letters section below. The checklists and letters below are provided to assist Self-study Chairs. We hope you will contribute materials from your campus that may be shared with others. Expectations regarding the content of the Self-study report are described in the Mission Priority Examen (MPE) Guidelines and Mechanism. Self-study chairs are encouraged to spend time with the Self-study Committee and President, reflecting on these expectations and the most important mission priorities for the school in the next few years. Typically, MPE Self-studies are succinct documents (20-50 pages double-spaced, including appendices), and the clear preference of the Jesuit Provincials and Superior General is in the direction of brevity. The task of the Self-study Committee should not be to document every manifestation of the mission on campus. Rather, it is to note some current mission priorities and examples, reflect on the school's attention to each of the seven themes in the Characteristics document, and highlight Jesuit Mission Priorities (and accompanying strategies) for the future. No matter the length of their Self-study, all committees should limit themselves to two to four Priorities, under which lesser objectives can be clustered. Recall that each school will engage in an annual follow-up on their progress, and thus focusing on a smaller number of priorities makes objectives clearer and follow-up less burdensome. The Outline for Full-length Self-study provides guidance for structuring the Self-studies. Aesthetically, it is fine to keep Self-studies simple. They need not contain photos or decorative formatting (though adding these is acceptable, as well). What counts is the content of the document and the thoughtfulness with which the school has undertaken the task of setting clear and meaningful Jesuit Mission Priorities. A Self-study Executive Summary (usually 5-10 pages.) is essential for the Superior General, Fr. Arturo Sosa, when he is reviewing all the Mission Priority Examens of a given year. It also serves as a built-in "push" for the Self-study Committee to clearly communicate the school's Jesuit Mission Priorities. Self-study Committees are asked to use the Self-Study Executive Summary Form when completing their Executive Summaries. A step-by-step explanation of the revision and submission process is provided in the Mission Priority Examen (MPE) Guidelines and Mechanism. The reporting process is iterative and, therefore, the initial report from the Peer Visitor Team should viewed as provisional. Unlike an accreditation process, the school is welcome to talk with the Peer Visitors about the facts of the report and about the Peer Visitors' recommendations. After the campus visit, the Self-Study Team and President (a) consider the feedback of the Peer Visitor Team, (b) offer corrections to any errors of fact or judgment in the Peer Visitor report, and (c) choose whether to make adaptations to their Self-study, in light of the Peer Visitors' input. Further, the Peer Visitor Team may also choose to adapt its recommendations, if the school provides new information or perspectives, following the provisional report. Any areas of disagreement should be noted by each group in their respective report. The Self-study Committee Chair sends the (amended) Full-length Self-study and the Executive Summary to the National Coordinating Committee. The Peer Visitor Team Chair does the same with the (amended ) Peer Visitor Team Report. All three documents are sent by the National Coordinating Committee to the Provincial, President of the Jesuit Conference, and President of the AJCU. See the Mission Priority Examen (MPE) Guidelines and Mechanism in the MPE Process section above for further information on the review of the reports, once they have been submitted. Note: The school's Self-study and Executive Summary should be viewed as internal documents during the MPE process. Therefore, sharing them with external audiences should be done at the conclusion of the MPE, and at the discretion of each school. The MPE process is not truly complete until the school takes action on its Priorities, some of which may take several years to achieve. To that end, the AJCU offers Mission Consulting Services to each of the 28 colleges and universities. 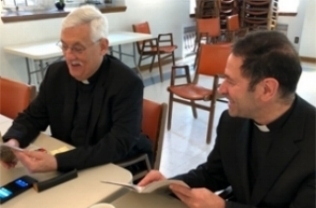 Consulting is provided by AJCU staff members or other talented colleagues in the AJCU network whose expertise matches the school's Jesuit Mission Priorities. Any colleague recommended by the AJCU will bring a deep background in Jesuit, Catholic mission, and in higher education. Follow-up also occurs through each school's ongoing connection with its Provincial Assistant for Higher Education. The Provincial Assistant visits each school annually, offering a regular opportunity to talk about how the Province and College/University work together to advance the school's Jesuit Mission Priorities. He provides a brief, annual report to the National MPE Coordinating Committee and an update to his Provincial on the school's progress-toward-goals. The Provincial Assistant focuses on the concrete ways in which Mission Priorities have been incorporated into budgeting, strategic planning, and other university processes. As the "Director of the Work" (a Jesuit term for the head of a Jesuit-sponsored ministry) and commissioner of the Self-study committee, the President sends a letter to Fr. General at the conclusion of the MPE process, affirming the Jesuit Mission Priorities recommended in the Self-study and indicating how the Board's commitment has been obtained. As a school makes the transition from completing the MPE to implementing it, the President updates Fr. General in his/her annual letter, reporting on the University's successes and challenges. Presidents are encouraged to communicate regularly with their campus communities on the implementation of Mission Priorities. They may also want to include an MPE update in their annual meeting with the local bishop. The questions below were submitted by Self-study Chairs preparing to lead a Mission Priority Examen. For questions not answered on the website, please contact Fr. Michael Sheeran, S.J. When should we reach out to our local Bishop, and how does he fit into the process? Contact with the Bishop should come at the front end of the MPE, as early as possible. It is recommended that the President meet personally with the Bishop to share information about the Examen, update him on the University's service to the Church (locally and globally), and ask for his thoughts on how the school might deepen its relationship with the Church in the future. The President should ask the Bishop to follow-up on the conversation by sending the President a letter about the mission contributions of the University. Alternatively, the President may wish to send the Bishop a letter, indicating what s/he heard in their conversation. Of course, local circumstances and pastoral judgment may necessitate some adaptations in this protocol. Additional information on engaging the Bishop can be found in Mission Priority Examen (MPE) Guidelines and Mechanism. How much does it cost to conduct a Mission Priority Examen, and who pays for it? Most of the cost of the MPE is "hidden," as it lies in the in-kind contributions of Self-study Committee members, Peer Visitors, and those who participate in interviews, surveys, and/or focus groups. There are transportation, housing, and hospitality costs involved in hosting the Peer Visitors, and costs for data processing or printing. Each college or university is responsible for covering these expenses. However, schools whose selection of Peer Visitors is inhibited by their institution's budget should contact the AJCU President, Fr. Michael Sheeran, S.J. to discuss the possibility of financial assistance. How can I make myself available to serve as a Peer Visitor? If you would like to participate on a Peer Visitor Team, you may ask a colleague to nominate you or simply nominate yourself. In either case, please email Fr. Michael Sheeran, S.J., who will contact you and provide a survey for you to complete. What happens if Fr. Sosa does not affirm our Catholic and Jesuit identity? This has not happened, to date, and it is not the primary objective of the Society of Jesus to "weed out" schools that are not measuring up to mission expectations. To the contrary, the experience has been markedly positive for schools that have participated, and the feedback from Fr. Sosa has been quite supportive. However, part of the purpose of the MPE is to identify areas for a school's growth, and so it is helpful for Fr. Sosa to comment on the strengths, gaps, and goals, and to offer suggestions. The MPE process is not simply a rubber stamp. It is an invitation for the school to reflect seriously on its mission commitments – and for the Society of Jesus to make informed decisions about the institutions it sponsors. Over the course of years, the MPE will provide a context and basis for those choices. Will the Examen occur every five years, going forward? No decisions have been made about whether or how frequently MPEs might take place in the future. As the end of the five-year experimental phase draws to a close, an assessment of the process and its effectiveness will be in order. It is unlikely that the recurrence will be any shorter than five years, based solely on the administrative effort involved. What feedback has Fr. Sosa offered on the overall process? Fr. Sosa's long career as a teacher, researcher, and academic administrator give him insight into the complexity of university environments. His feedback has been very positive. Specifically, he has asked that both Jesuit communities and students (graduate and undergraduate) be more intentionally involved in the Mission Priority Examen process. The compendium below contains useful information for anyone involved in the MPE process. It is designed to provide a chronological introduction to the development of American Jesuit higher education in the last quarter-century. 1990: Ex Corde Ecclesiae ("From the Heart of the Church") – St. Pope John Paul II's Apostolic Constitution (i.e., solemn pronouncement) addressed in depth the Church's relationship to Catholic colleges and universities, and the role of Catholic higher education in the mission of the Church. 2000: The Service of Faith and the Promotion of Justice – The late Rev. Peter-Hans Kolvenbach, S.J., former Superior General of the Jesuits, delivered this landmark address on Jesuit higher education at the Justice 2000 conference (Santa Clara University). 2002: Do You Speak Ignatian? – Rev. George Traub, S.J. 's handy booklet provides an accessible glossary of key Ignatian terms (Xavier University). 2010: Challenges to Jesuit Higher Education Today – At an international meeting of Jesuit college and university presidents, former Superior General, Adolfo Nicolás delivered remarks that continue to serve as an important reference point for the schools (Mexico City). 2010: "Higher Standards for Higher Education" – The late Rev. Dean Brackley, S.J. 's stirring article calls upon Jesuit universities to put the option for the poor and marginalized at the center of our work. 2012: Some Characteristics of Jesuit Colleges and Universities (AJCU) – see description above. 2014: The Promotion of Justice in the Universities of the Society (Jesuit Curia) – Published as a special edition of the periodical Promotio Iustitiae, this text focuses on the responsibilities of Jesuit colleges and universities, worldwide, to see every dimension of their work as spiritually transformative, and ordered toward creating a more just society. 2017: Jesuit Education: Forming Human Beings in Harmony with their Fellows, with Creation and with God – Jesuit Superior General, Arturo Sosa, offered this public address at an International Congress of Jesuit Education Delegates about the current priorities of Jesuit higher education, and the need to be "companions in a mission of reconciliation and justice" (Rio de Janeiro). 2018: The University as a Source of a Reconciled Life – Jesuit Superior General, Fr. Arturo Sosa, delivered this launch address at the World Meeting of Universities Entrusted to the Society of Jesus; in it, he calls Jesuit colleges and universities to see reconciliation and the cultivation of world citizens as core dimensions of the Jesuit university's collaborative work. The experience of Self-study Committee Members, Peer Visitors, Presidents, and all colleagues who participated, in any way, in the MPE is essential in improving the process for the future. The objective of the process is to make meaningful change in Jesuit higher education, linking our work more deeply to the mission that inspires us. Therefore, we invite you to share your feedback here, in order to make the MPE a more reflective, integrated, and substantive process. Thank you in advance for your insights.